I've been really busy over the past several weeks, working on the usual annual project I do around this time of year, but I managed to set time aside on Tuesday to go see "The Amazing Spider-man". First off, I've got to say that I really liked it and I'm somewhat surprised to read that a number of people do not. It seems that the main issue is that people are offended that there is a Spider-man reboot film so soon after Spider-man 3. Well, it's pretty well known that they were always planning to make this movie. Spider-man 4 was in the works but fell through when the director pulled out of the project, so this new "reboot" got bumped up. 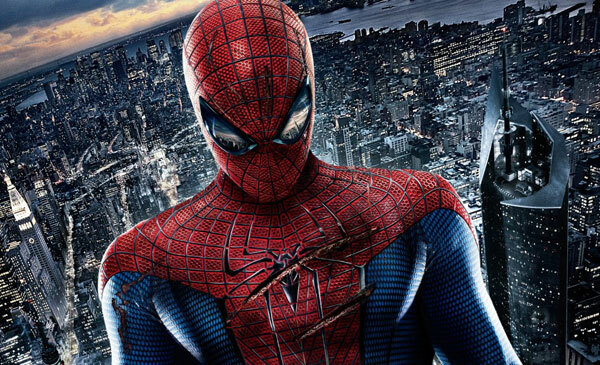 The studio had to make another Spider-man film or the rights to the character would eventually revert back to Marvel (which would be awesome, but whatever). So basically, due to the circumstances, this new Spider-man movie has to exist, but at least they took the opportunity to do something different with it, and so what they came up with here was a very interesting, fresh take on the story. Most of the familiar elements were there, just presented in a new way. It was fun to see what was done differently and what was kept. And let's not forget that the Sam Raimi films deviated from the original story of Spider-man in several regards. This new movie is closer to those classic Stan Lee stories in some ways, and I think it's better for it. I like the mechanical web shooters better than Toby's wrist goo and I like that Gwen Stacey got the spotlight instead of Mary Jane. The key point in this movie, what is to me the very essence of Spider-man, is the concept of suffering. Physical pain, guilt, anger, rejection, trouble at school, trouble with girls; How Peter Parker deals with these things, in and out of the mask, and then rises above it is what makes the story of Spider-man what it really is, and I think this movie did a great job with that. Overall it's a smaller, smarter, darker, grittier, more personal version of the Spider-man story and I appreciated it for those reasons. I also builds the world up very well and leaves lots of room for further stories. What I liked best about it though was how awkward and weird and gangly Spidey looked and acted in his costume. In my head, that's what Spider-man is supposed to be like. Something about it just felt more real. Don't get me wrong, I like the Sam Raimi movies too. There are things those movies did well and others that perhaps could have been better if handled differently. The perception of those movies has been changing over the years, as we can judge them a little more clearly now that they aren't so new, but it's great that we have multiple versions of the same story to compare with each other and create a larger whole. I think it's going to be interesting to see how all the different films stack up over time. At first blush though, I really liked "The Amazing Spider-man" for what it was and if you didn't, well too bad for you and better luck next time.